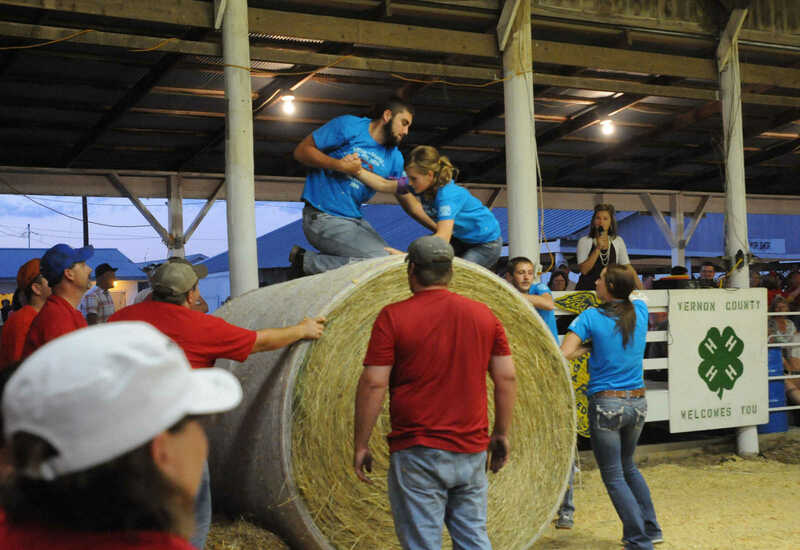 Team Five helps Cara Comstock up the round hay bale during the Super Teen obstacle course. 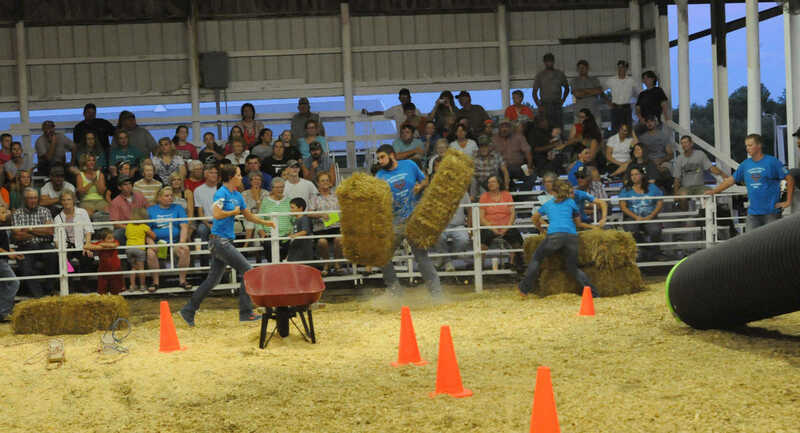 Team Five race to stack hay bales in the Super Teen obstacle course. 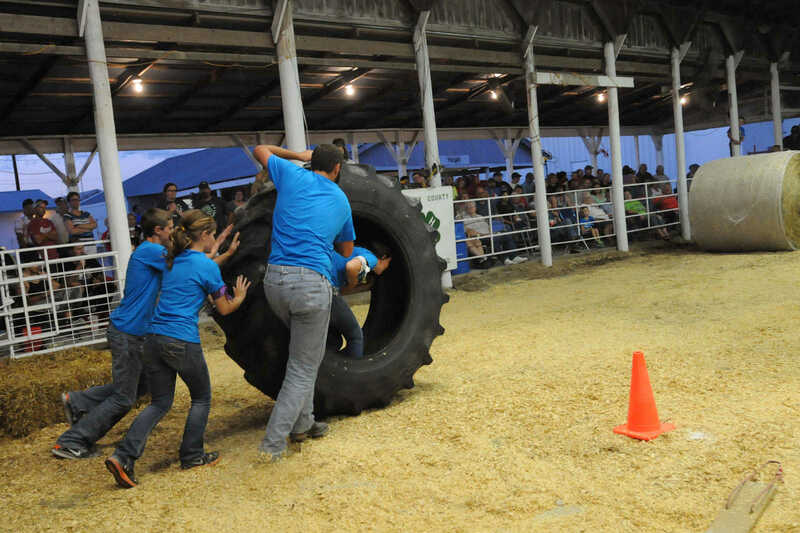 Team Five push Monica Gerken in a tractor wheel during the Super Teen obstacle course. 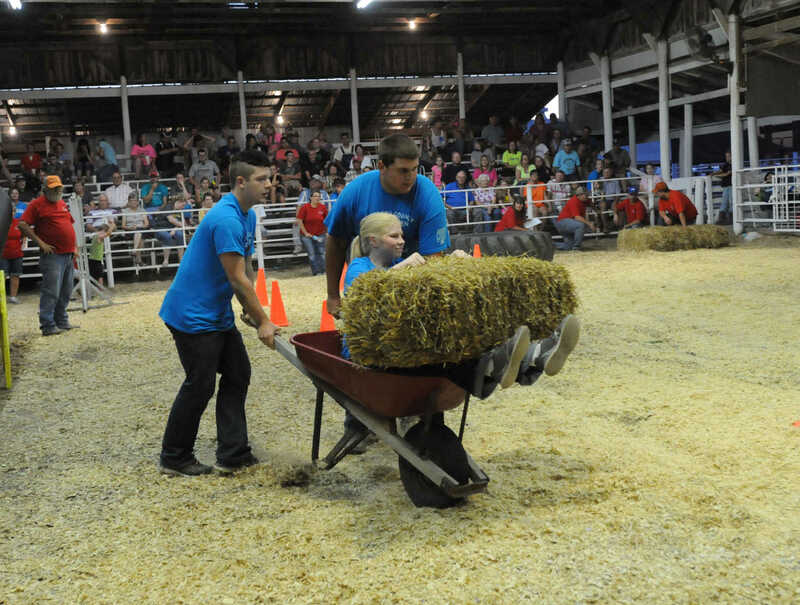 Andrew Schlueter and Jesse Dunkley push Sarah Byers in the Super Teen obstacle course. 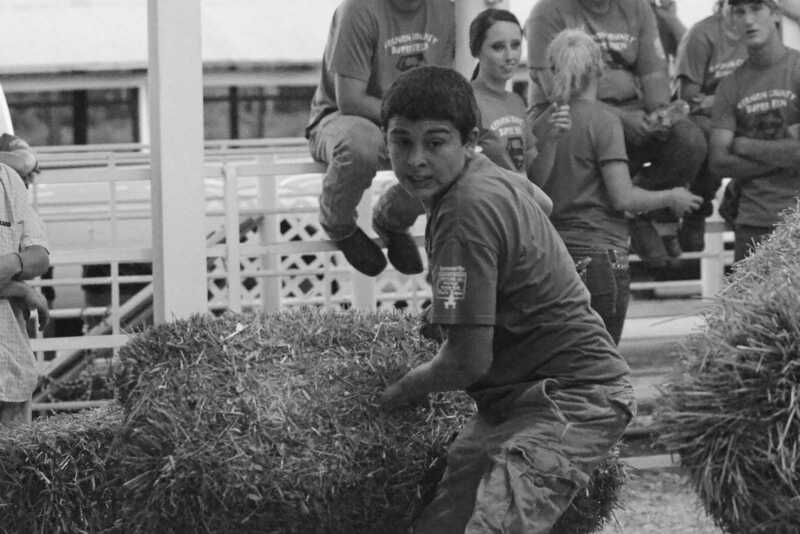 Cole Ellis lifts a hay bale in the Super Teen obstacle course.